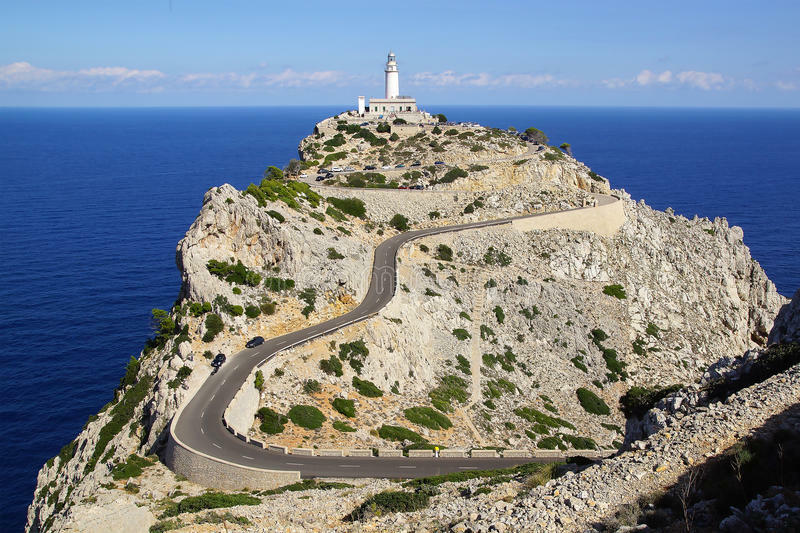 The Brighton Tri Club Training Camp 2019 will be based in a four star sports hotel on the bay of Can Picafort on the beautiful northern coast of Mallorca. First and foremost this is a way to blow away the winter blues and spend a week focusing on your fitness and Triathlon-specific skills. Training with club members and other like-minded athletes, an expert team of coaches will help you put in more distance on your bike and swim further the pool than you thought possible. Your group riding skills will increase immensely, your swim endurance and pace will measurably improve, and you'll go home brimming with enthusiasm for the Summer and 2018 race season. There is no better way to learn, train and improve than on camp. There are only 20 places available, and with 210 + adult club members we expect interest to be high, so don't delay in booking your place! When is it? - The camp will be from Sat 4th to 11th May 2019. Seven nights accommodation at the 4-star Hotel Ferrer Janerio. Half Board catering - Buffet style breakfast and evening meals. 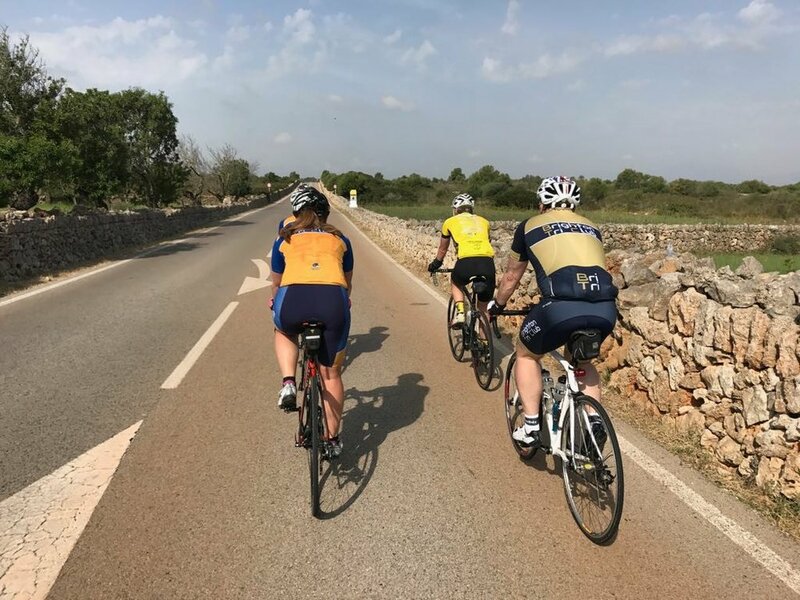 Guided bike rides suitable for a wide variety of cyclists, with experienced coaches showing you the island. 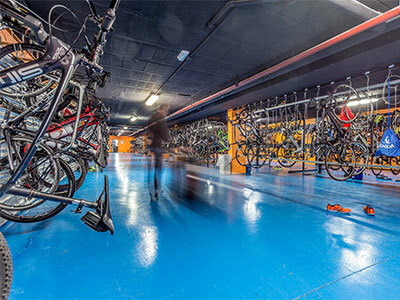 A secure on-site bike garage and mechanic. Quality bike hire is available. 25 m outdoor pool with four lanes. The adjacent National Park offers a fantastic running environment. Comfortable, clean and spacious twin rooms. The Hotel Spa is free of charge. Airport Transfers for you and your bike box. This incredible offer is only available to Brighton Tri Club members - the cost per person for all of the above benefits will be £565 sharing a junior suite. Additional for single supplement. Flights are separate to this. You are responsible for booking your flights. If you're looking to take your bike to the camp with you, we can organise a great deal on a hire bike box from BoxMyWheels to keep your bike safe in transport. Alternatively, if you would like to hire a quality road bike in Mallorca, let us know and we will get in touch to give you prices and options. Simple. Just get in quick and pay the deposit of £150 to secure your place on the camp. Doing so asap is highly recommended to ensure that you have one of the limited spots for this brilliant week away! Having paid your deposit, go and book your flights asap to get them for the best possible price. This camp is open to ALL members and really is suitable for ALL levels of experience and ability.